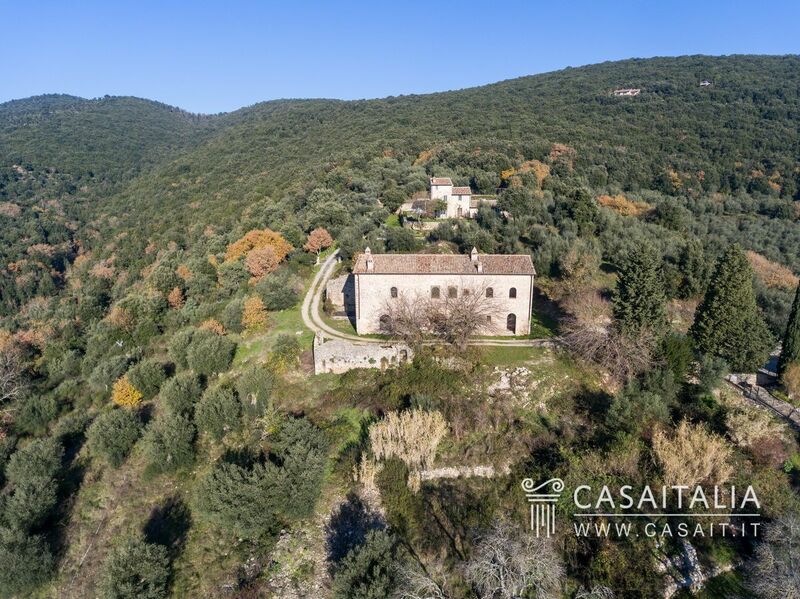 Situated in a panoramic, hilly location, just 7 km from the centre of Perugia, this historic hermitage has around 5 hectares of private land. 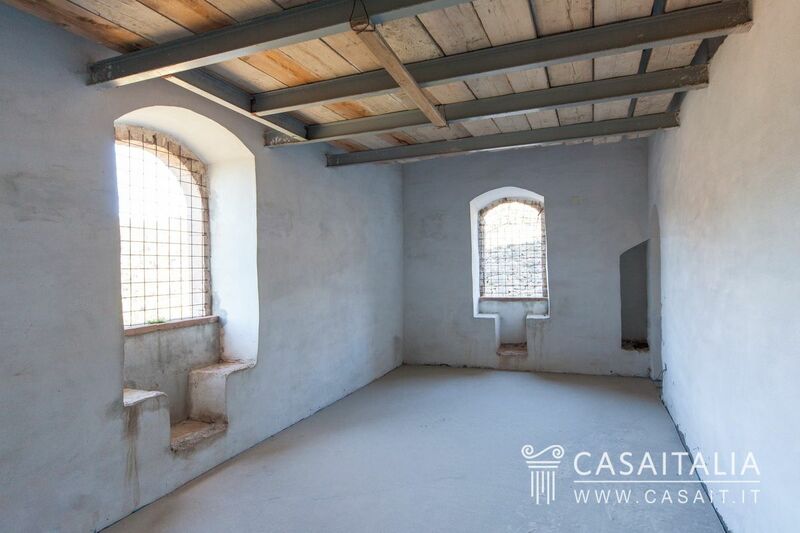 The building, restored and undecorated, has two floors for a total surface area of 568 sq.m, plus around 50 sq.m of mezzanine space. 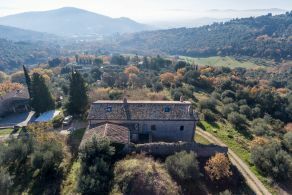 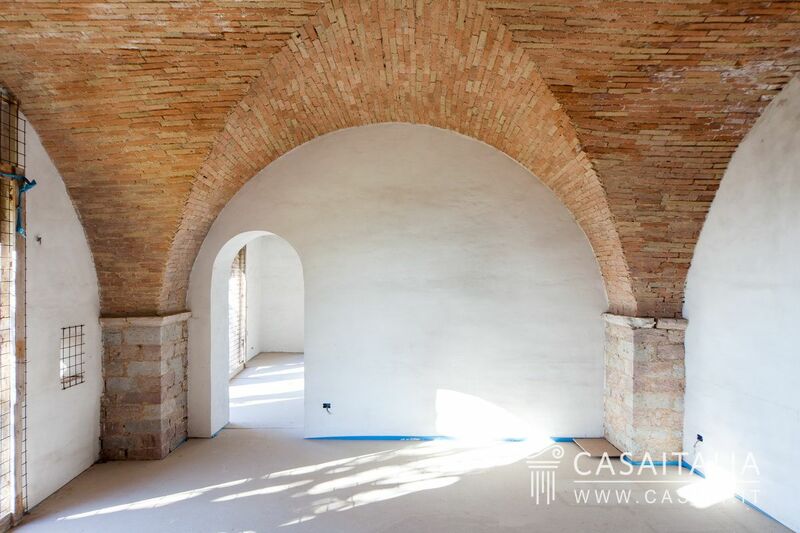 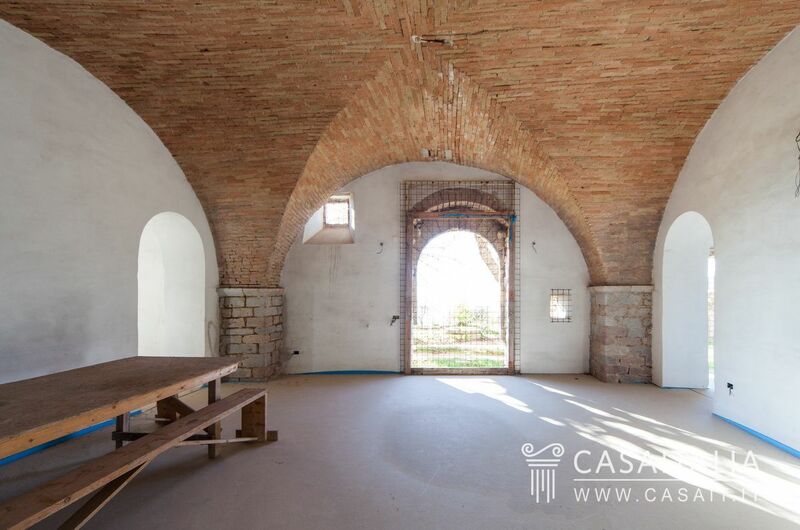 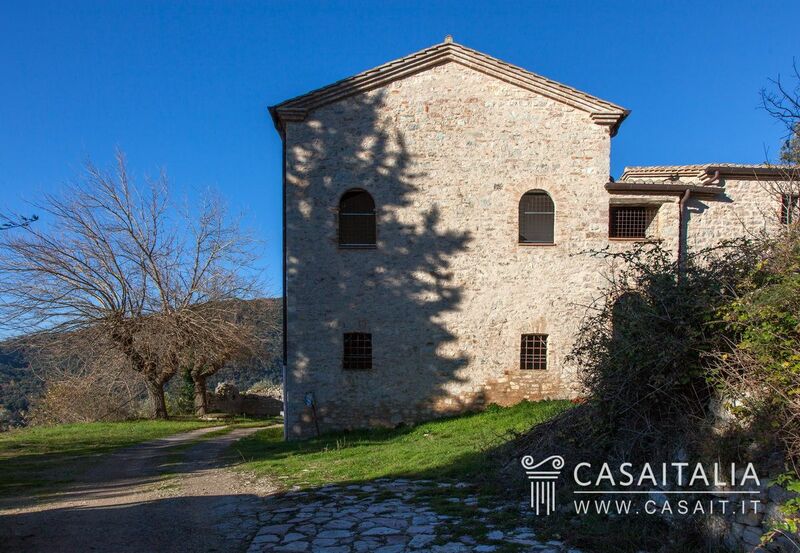 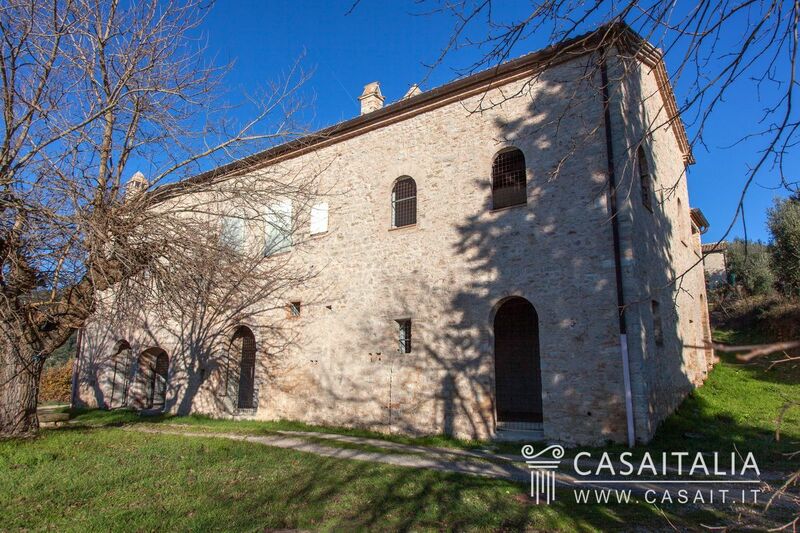 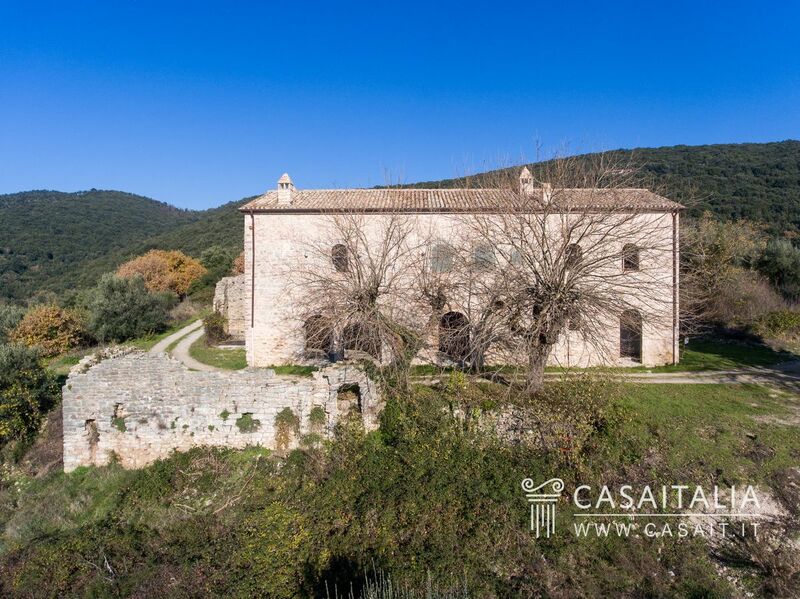 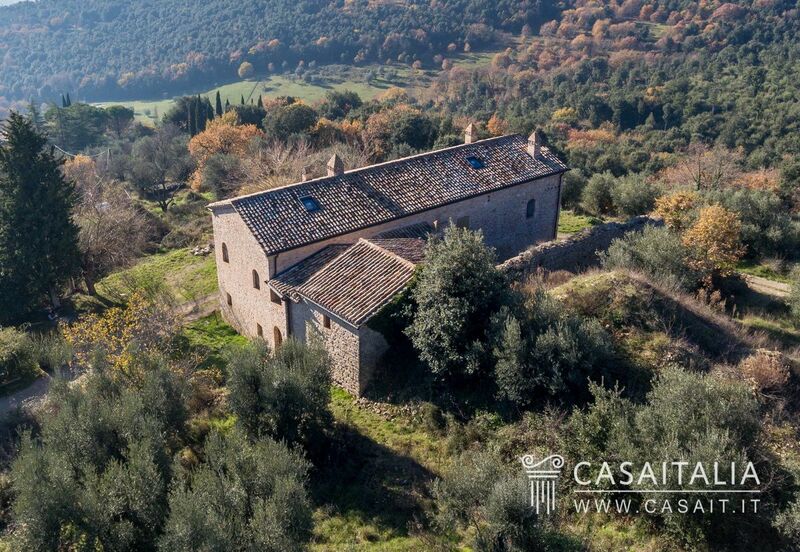 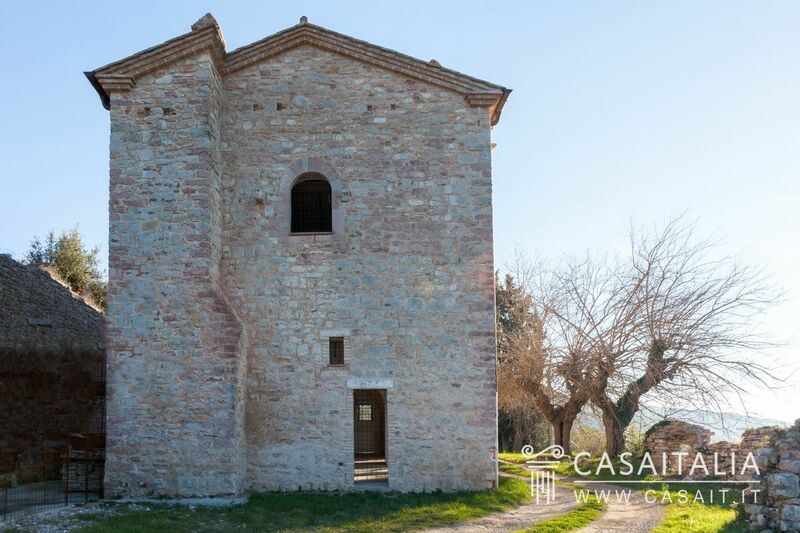 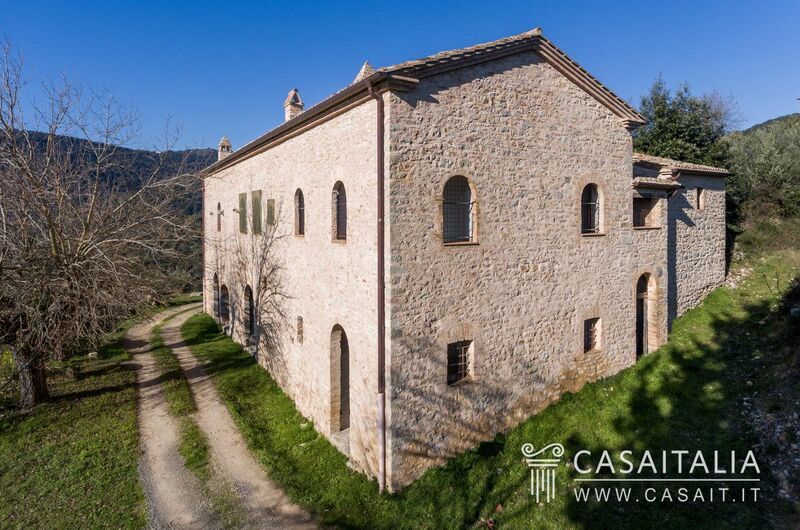 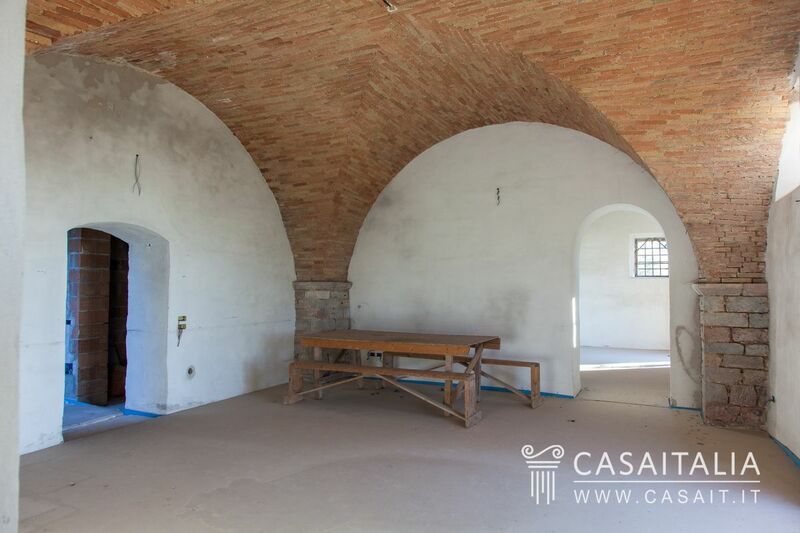 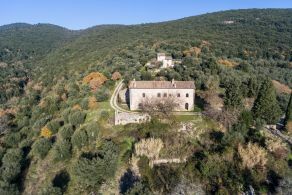 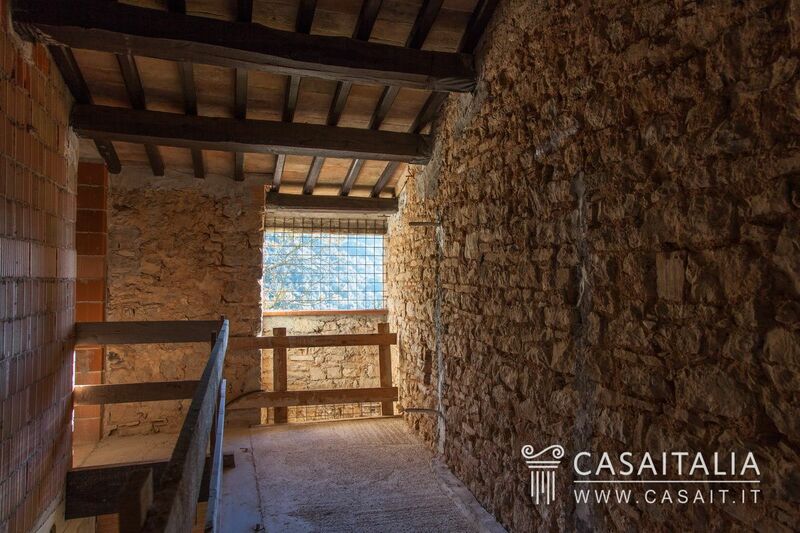 L’Eremo di Fontanabella is for sale just 7 km from Perugia, an ancient hermitage dating back to 1200 that belonged to the Dominican monks, which has been restored but is undecorated, with 5 hectares of private land. 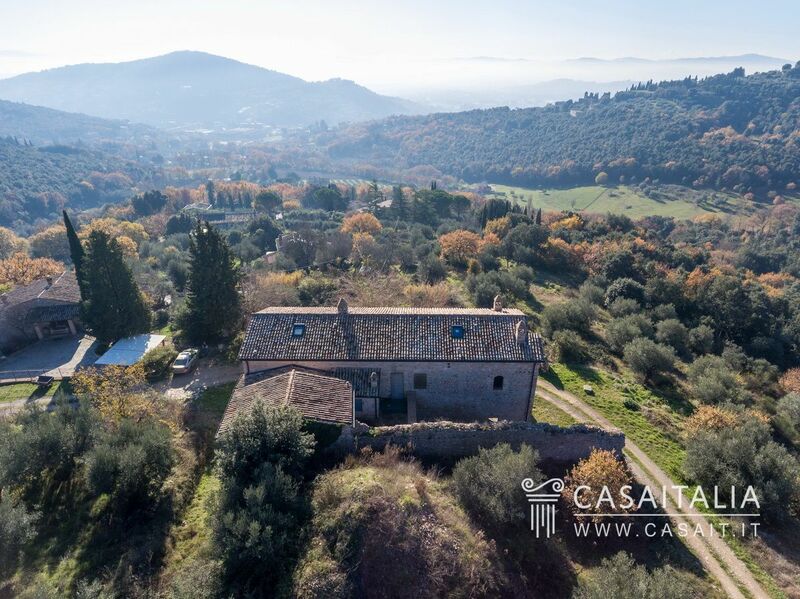 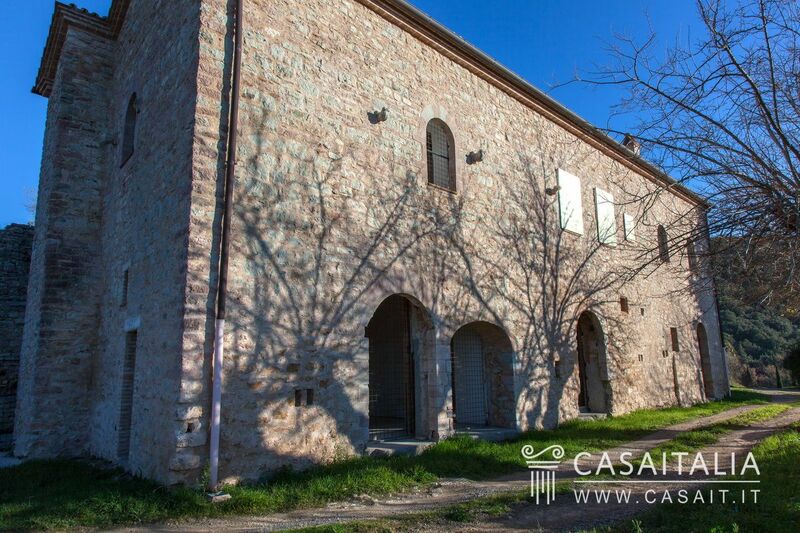 The location, hilly and panoramic but not isolated, is ideal for those who want to live in contact with nature while still being in an area close to other houses and a short distance from one of Umbria’s main historic centres and an important university city. 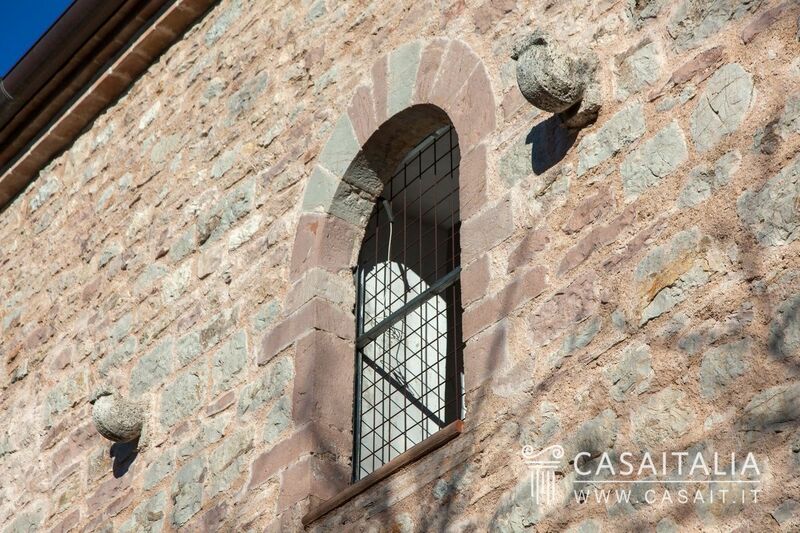 The nearest populated area, useful for daily purchases and requirements, is just 1.5 km away. 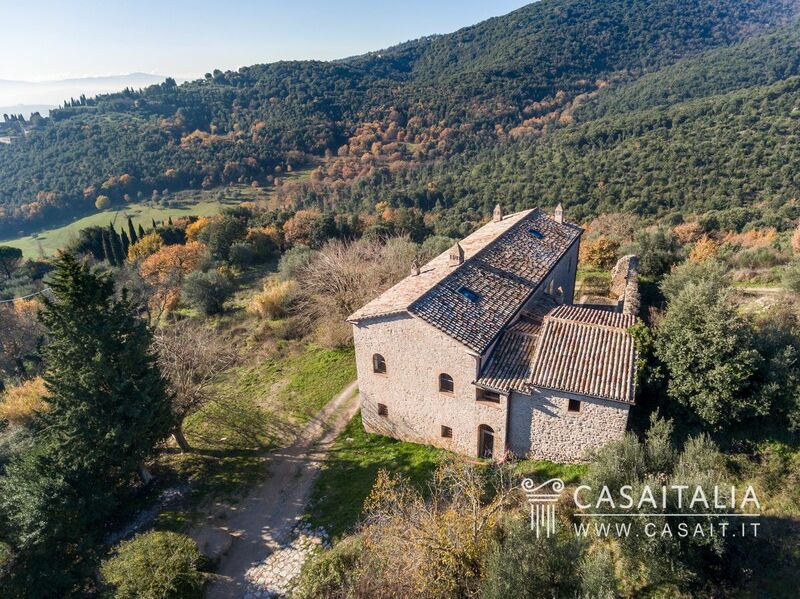 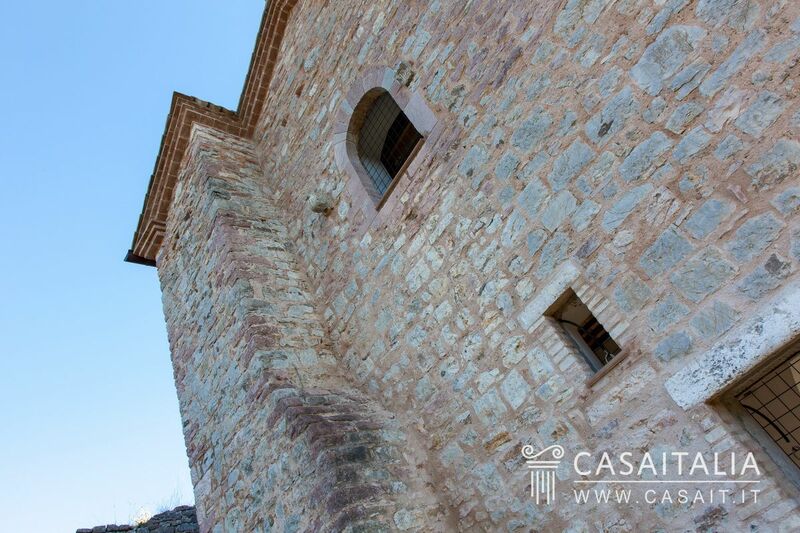 While in Umbria, the property is in a central location in relation to the important cities both of this region and of Tuscany: it is possible to reach Spello (36 km), Assisi (31 km) and Cortona (46 km) in around half an hour and Montepulciano (61 km) or Arezzo (92 km) in about an hour. 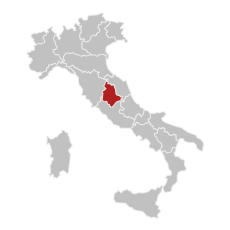 The nearest airport is undoubtedly Perugia (18 km) which is about 20 minutes away, while Rome Ciampino and Rome Fiumicino airports are 191 and 206 km away respectively (about 2 hours’ drive). 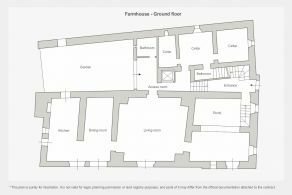 The Hermitage has two floors, for a total surface area of 568 sq.m, plus around 50 sq.m of mezzanine space. 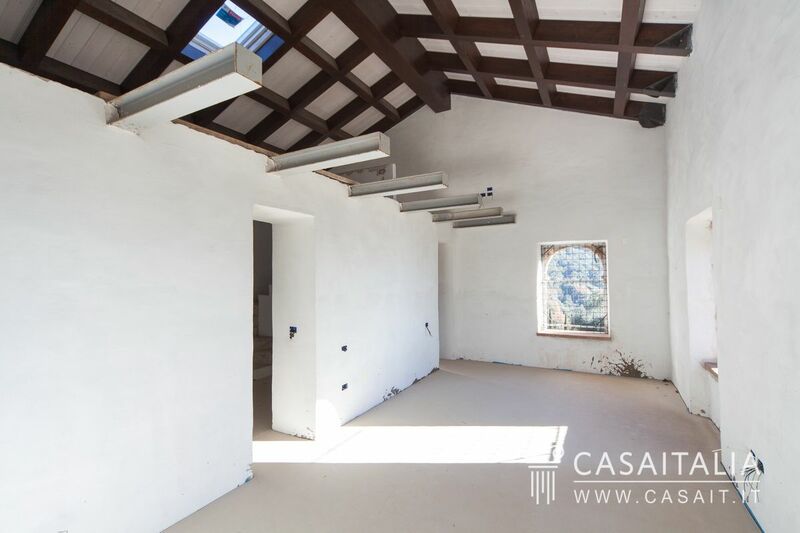 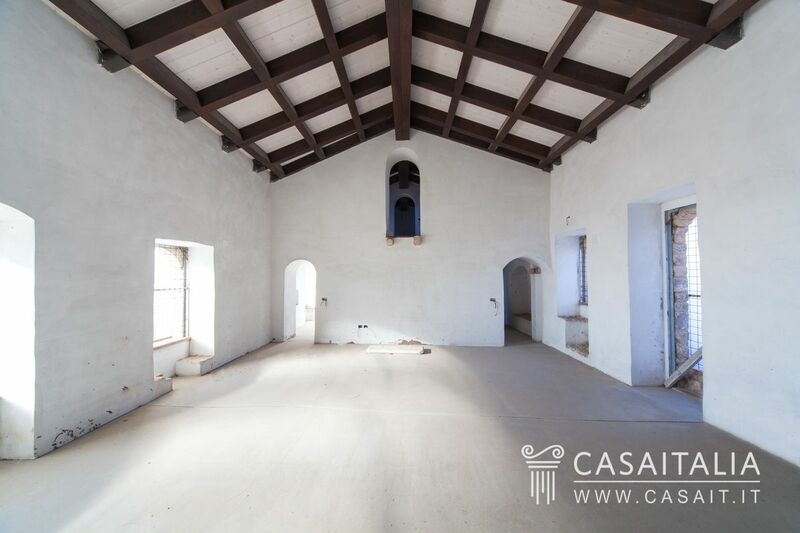 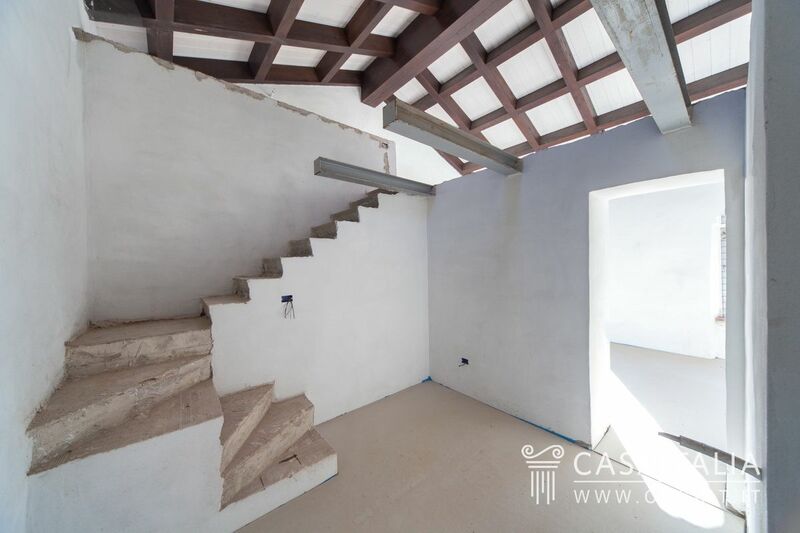 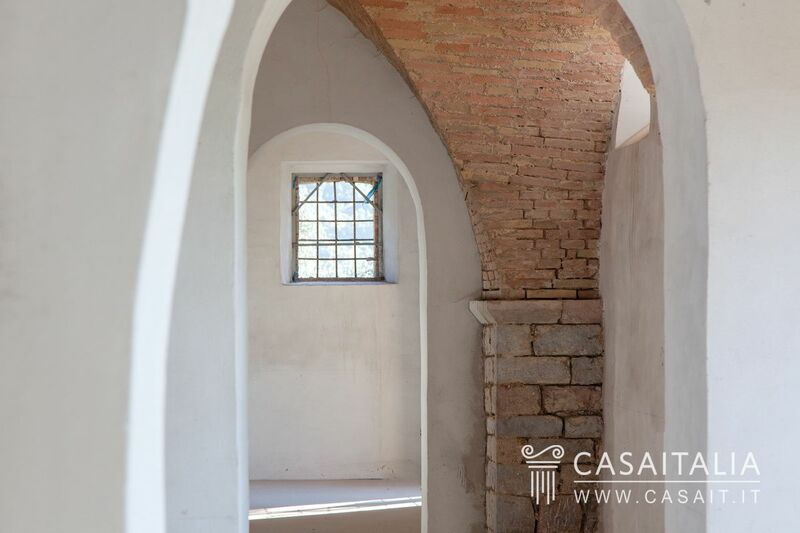 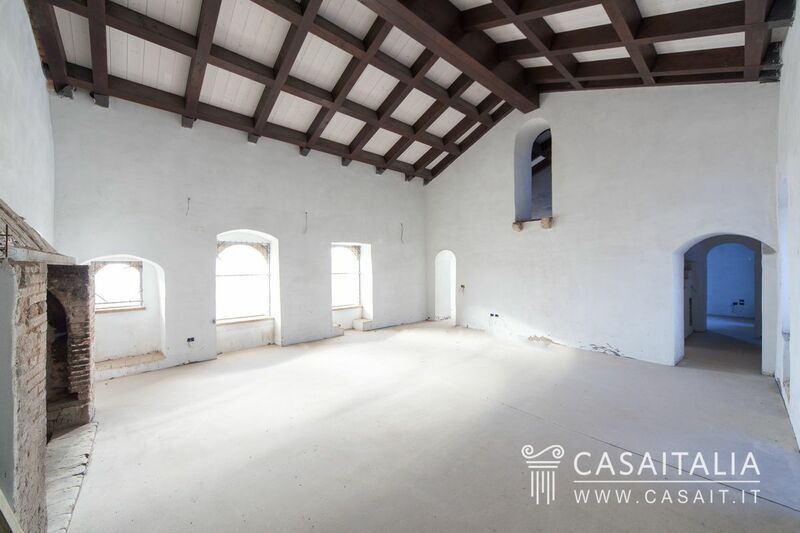 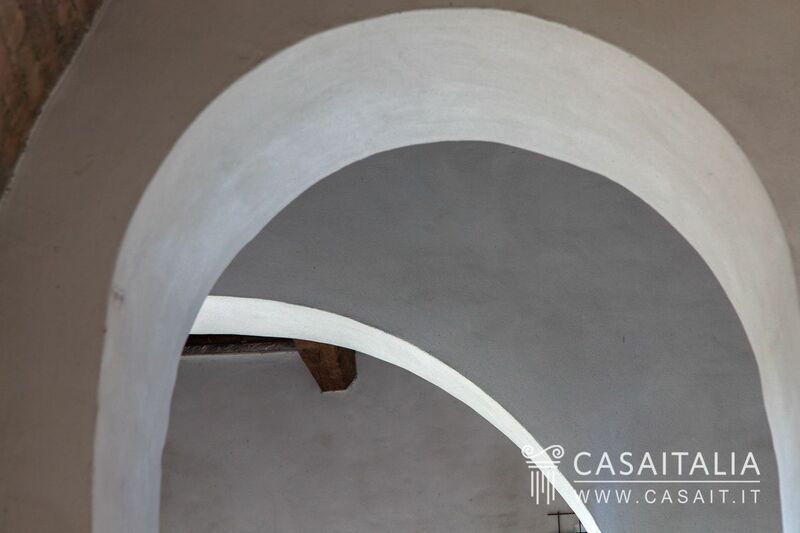 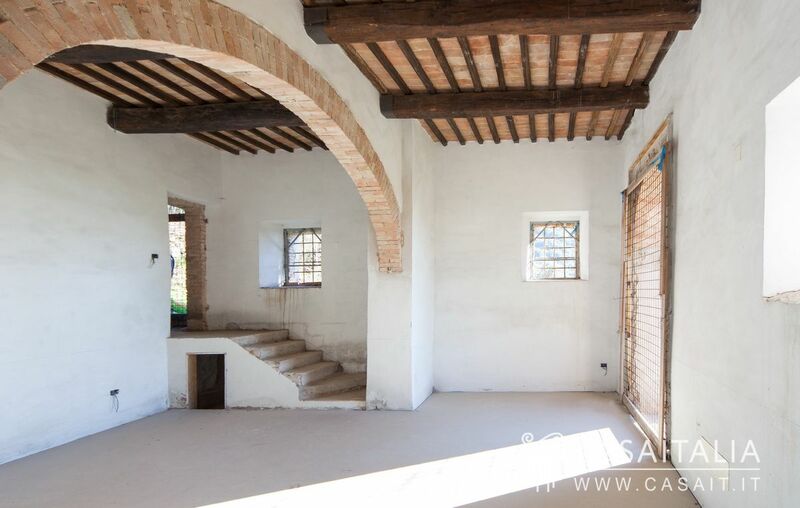 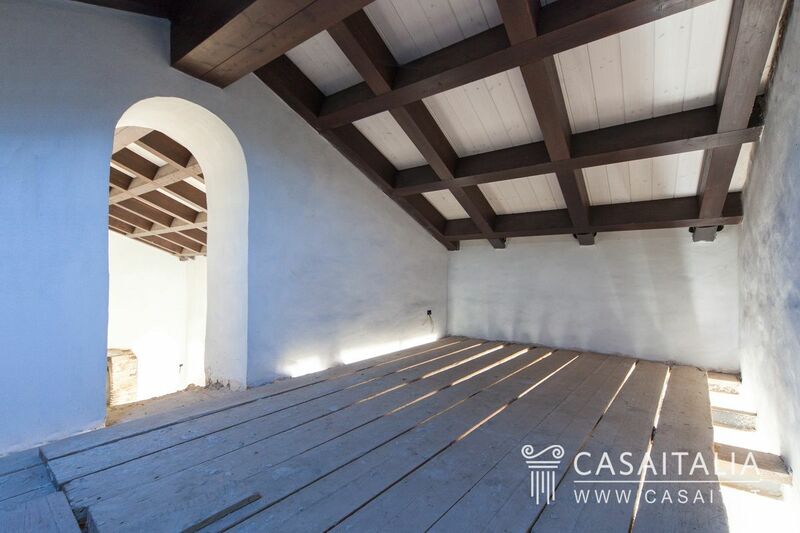 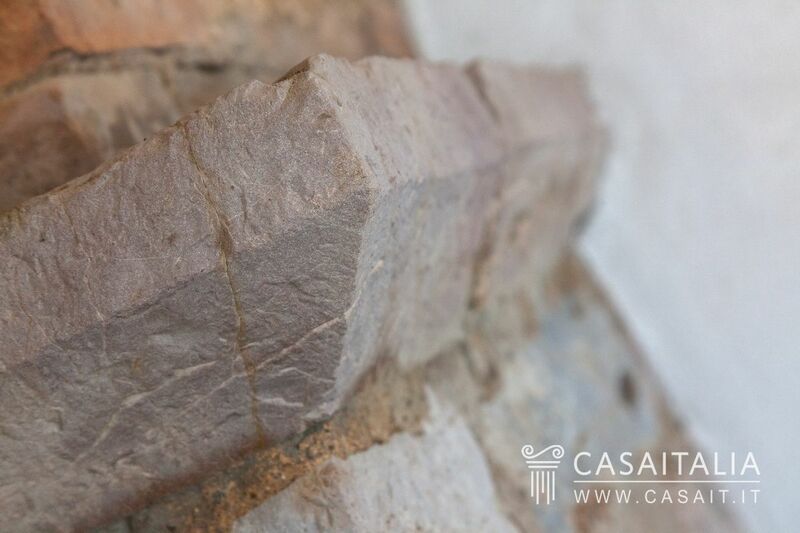 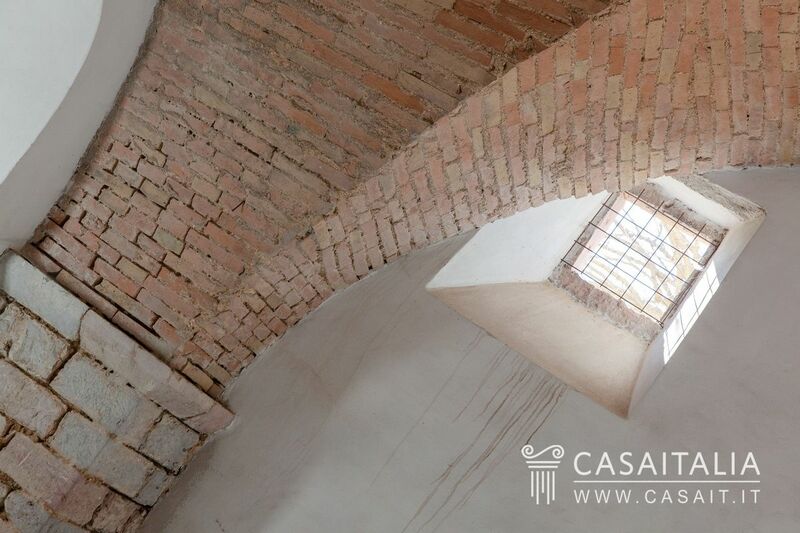 The building has been restored but is undecorated and the current project has in mind a large living room/sitting room, dining room, kitchen, studio, two bathrooms and three cellars on the ground floor. 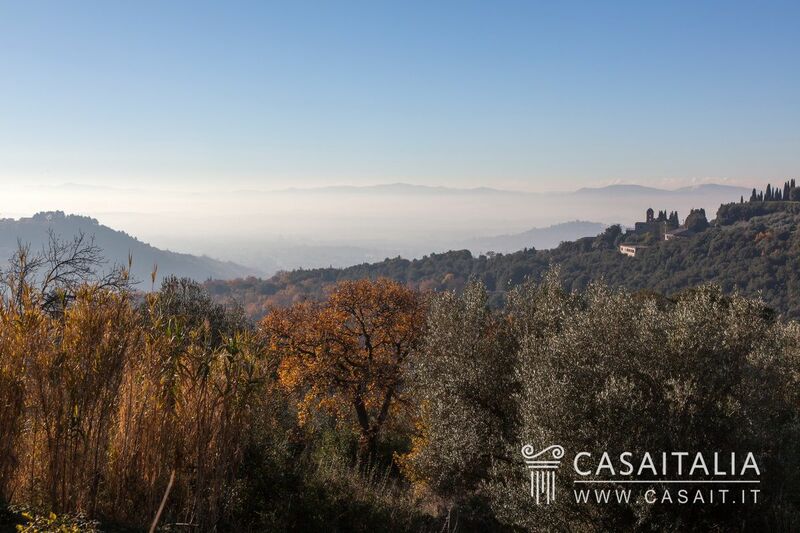 Outside, on the hillside, there is a protected area ideal for building a winter garden. 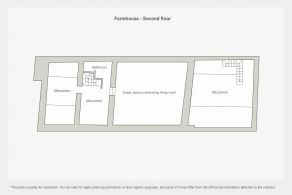 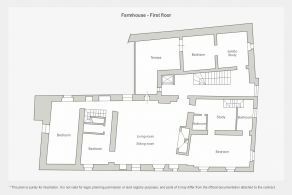 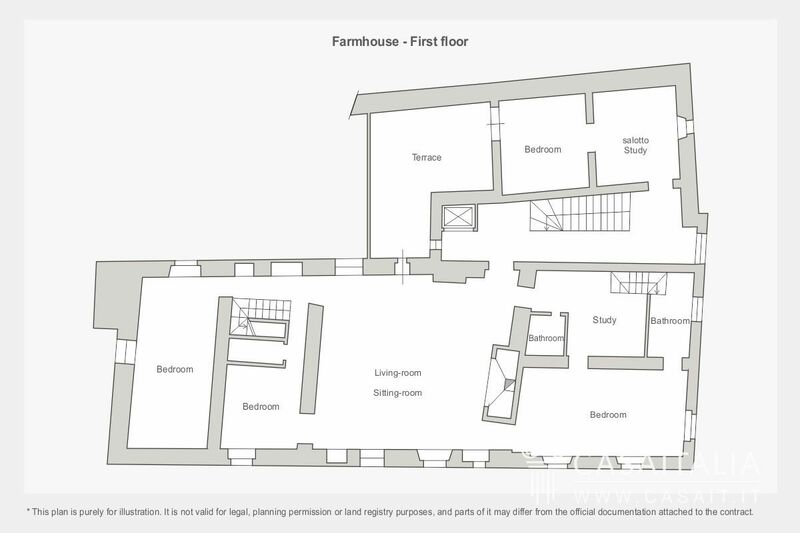 On the first floor, which would eventually be accessed by a lift, there is another living room/sitting room with a large fireplace, two bedrooms with en-suite bathrooms, two further bedrooms, two sitting rooms/studios and two bathrooms. 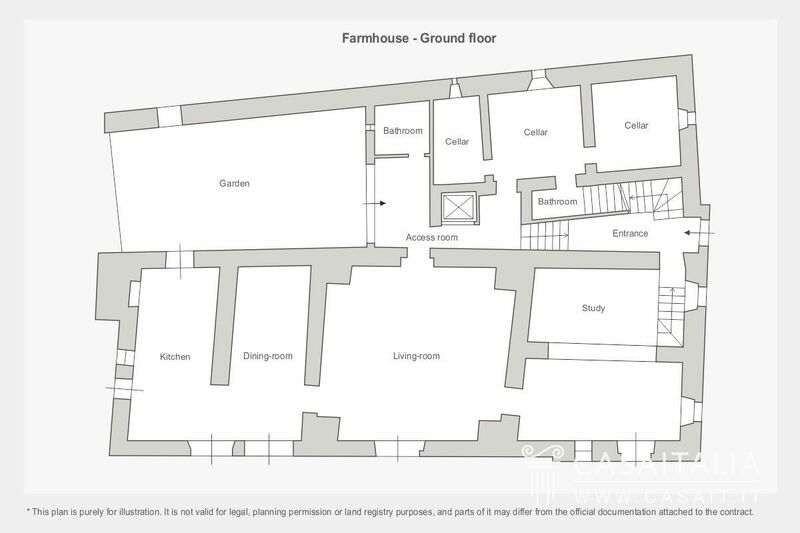 From this floor, two staircases on opposite sides of the building lead to two mezzanine spaces, one with a bathroom. The building has been restored but is undecorated (to allow the buyer to choose the internal finishings according to their own needs and tastes) with water, electric and heating already installed (underfloor heating). 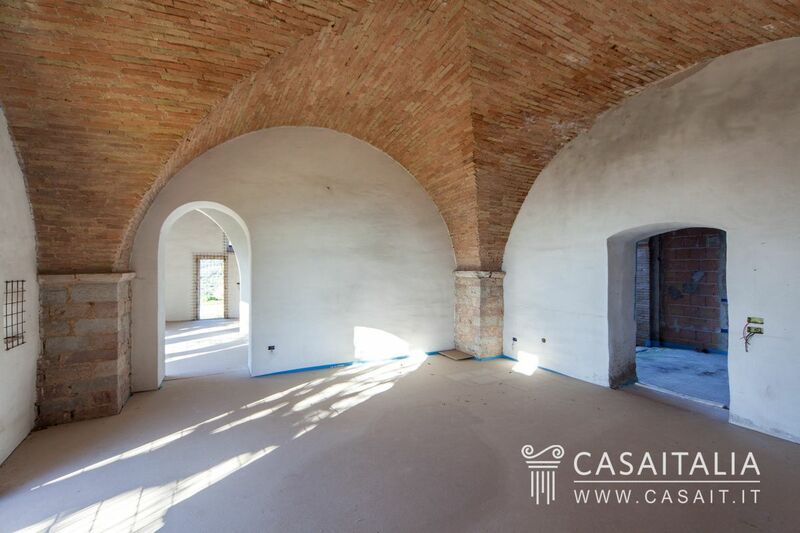 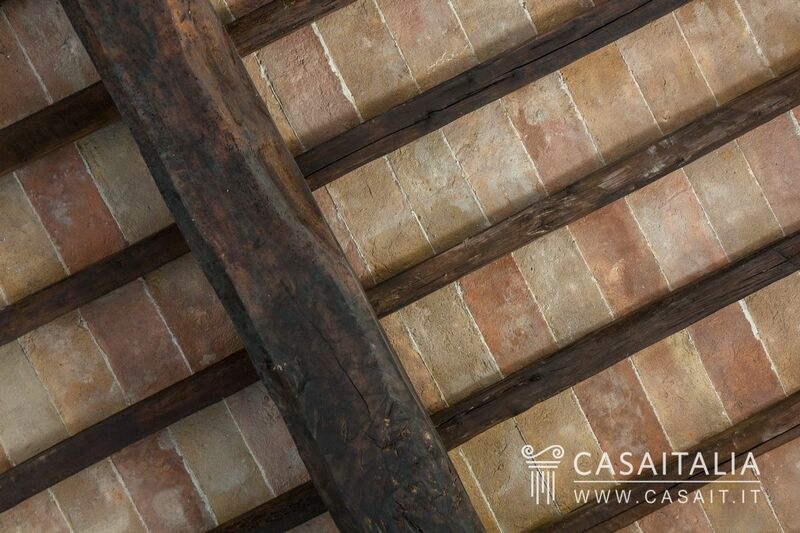 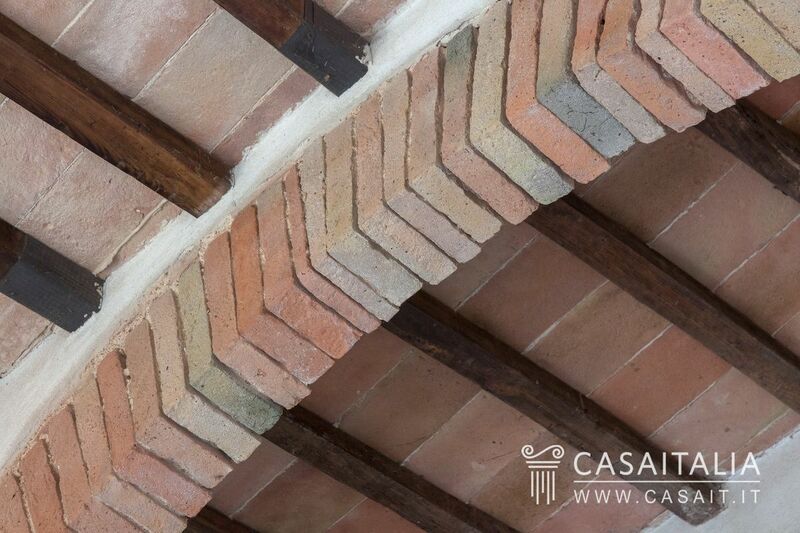 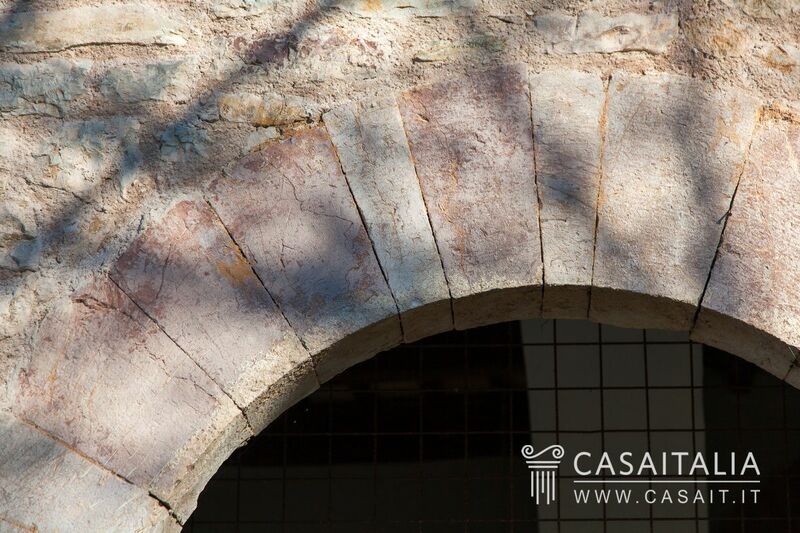 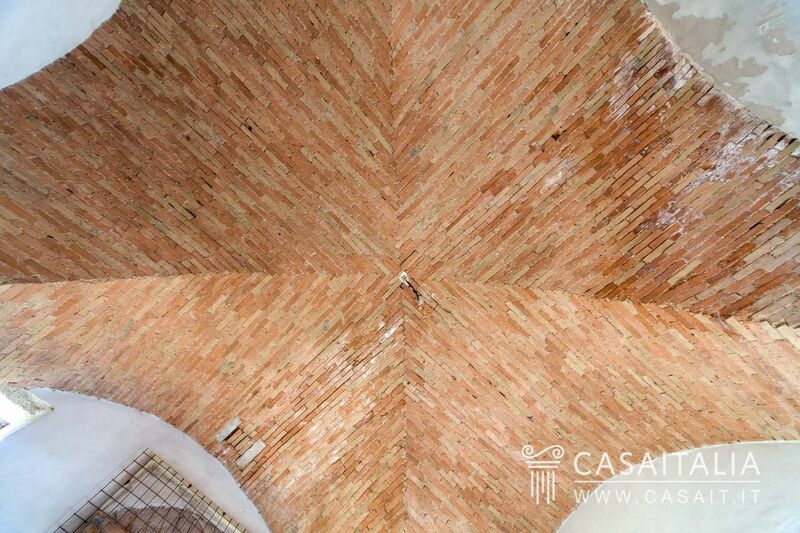 Outside, the original exposed stonework has been kept, along with the tiled roof, while inside there are the ceilings on the ground floor with beams and tiles and the first floor ones in wood, with an interesting beam structure. 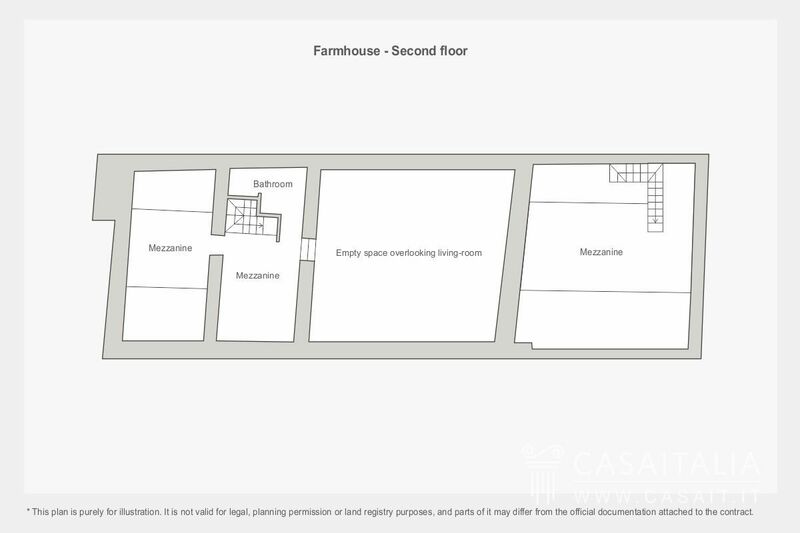 Finally, the property has around 5 hectares of private land. 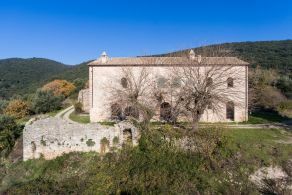 L’Eremo di Fontanabella, being so close to Perugia (just 7 km away) is perfect as a main residence or as a holiday home. 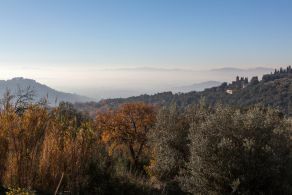 The central location in relation to the important cities of Umbria and Le Marche makes it a great starting point for day trips to places rich in cultural events throughout the year.